The best thing EVER to do with Thanksgiving leftovers! Reserve any extra skin or lumps of fat from the neck and body openings when preparing your holiday turkey for roasting. After your gorgeous, golden-skinned turkey has been presented, admired, carved, and devoured, don’t throw it out; you still have the best part left! Cut away the skin from the back before tossing the carcass in a pot for making bone broth. Slice the skin into strips or squares and spread them flat on a greased sheet pan, adding any reserved fat and skin. If you prefer flat pieces, you can set a second pan, a bacon press, or an iron skillet on top. Place in a preheated 350 degree F oven and roast for about 10 minutes or until cracklin’s are golden brown and very crisp. The thinner pieces will be done first, so remove them and place on paper towels to drain. Continue to cook the remainder, checking every 5-minutes. Remove them as they brown until all are done, turning as needed. It may take a total of 20 to 30 minutes for the thicker pieces with more fat and any raw pieces. Sprinkle with salt and your choice of seasonings. I can’t give you the nutrition data for these, but they have zero grams of carbohydrate and only a little fat since most of it is rendered out. They are mostly protein. 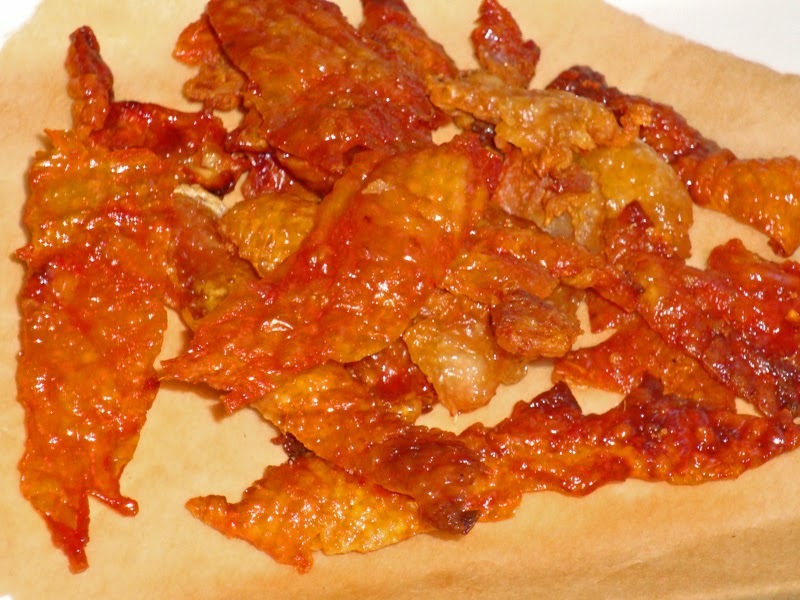 Below are the counts for purchased pork skins, which are probably similar. Note: The Gobble restaurant in Woodinville, WA is one of my favorite places to eat. The owner, who is diabetic, caters to those of us with dietary restrictions. They serve an incredible, gluten-free gravy and, although most of their vegetable sides are made with butter, they always have two or three made with olive oil. The dining area has a big screen TV and on game days, they serve turkey cracklin’s as snacks. It is a clever way to use up the odd bits left over from the many turkeys they go though every day. Theirs are deep-fried. They look even messier than mine, but they are still delicious! Gobble Restaurant in Woodinville, Thanksgving leftovers, Turkey Cracklin's. Bookmark. These look delicious and easy to do too! Great tasty idea, can't wait to try these:) Thanks!